The Open PC helps the dream of free hardware come true, and robot simulations fire the imagination. Producers and vendors of proprietary software claim that they need to recoup the cost of development by selling individual copies; otherwise, they would be unable to afford the salaries that professional developers earn. Companies such as Red Hat, Novell, and many others disprove this by relying on a business model in which individual licenses do not generate turnover. In both cases, this is not strictly what the Utopian pioneers of free software had in mind, in that neither Red Hat nor Novell have foresworn profit as the maxim of trade but simply modified the process to reflect the characteristics of "software" as an asset: They no longer sell the reproducible product, but provide services related to it. Although free software so far hasn't created a society free of material need and social imparity, it can point to measurable success that does more than benefit a couple of companies. In recent years, free software has managed to shorten the digital gap between poor and rich. An African child could soon be equipped with a laptop and a free (as in beer and freedom) Linux operating system at a price even poor governments can afford . The Utopians still haven't found a conclusive answer to the question of how to apply the principle of free software to other products. Most other economic goods need raw materials, special production plants, or both. Progress in the fight against digital imparity is thus just a battle in a larger war on other material needs, and its benefits are not felt by most of humanity. "Free Hardware"  applies the principles of free software to other fields. Plans for a free car, called OScar , and the free Sun OpenSPARC  CPU show that this doesn't just mean computers, although these free hardware efforts often follow a process closer to the legacy, closed model. At the Gran Canaria Desktop Summit (GCDS) in July, where supporters of free desktop environments such as KDE and Gnome got together, Frank Karlitschek from Stuttgart, Germany, hit on a new idea for promoting the development of a PC optimized for Linux (Figure 1): The free software community should design a community PC. Of course, this simply means putting together free individual components rather than building them. Figure 1: Open-PC is the name of a computer designed to meet the demands of the Linux community. 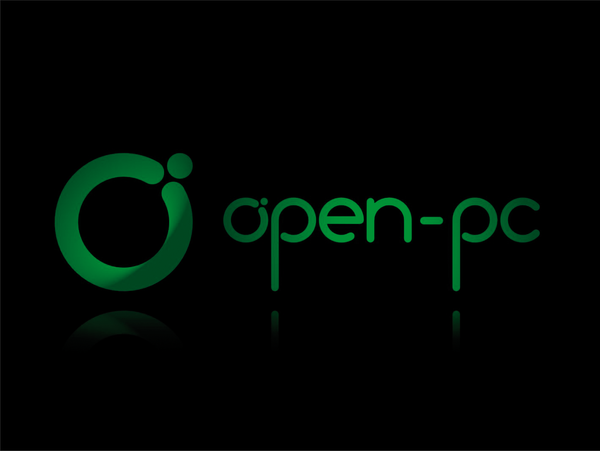 The motivation for the Open-PC  is the perception that the hardware market does not have anything satisfactory to offer users of free software. The Linux PCs offered by several major players (including Asus, Dell, and Acer) more or less rely on modified systems, thus compromising typical Linux-style individuality, often with driver problems and a lack of support, says Karlitschek. To combat this, the Linux community should design its own PC. The advantage of the Open-PC is that its hardware would not be put together with the aim of supporting Windows (in contrast to Linux computers offered by major hardware vendors). Instead, full support for the free operating system would be the major premise, with community support to follow at a later stage. Users would also have access to an App Store with applications that would run perfectly on their Open-PCs. When this issue went to press, the Open-PC website was still in the initial planning phase, in which the community was asked to complete a survey to achieve a consensus on hard disk size, acceptable pricing, preferred desktop environment, and a number of standard programs. The roadmap envisages the next phase starting August 15 with another survey on details of software and hardware requirements. User requirements will help ascertain which individual components are most appropriate, and if free hardware that meets these performance requirements is available, it will be preferred for price reasons. Having said this, there is not a big choice of hardware with open specifications. Of course, manufacturers without Linux support cannot be considered at all, and between these two are extremes hardware manufacturers who provide Linux support for their proprietary devices. According to Karlitschek, Open-PC production will be starting next fall. Details of the hardware vendor who will be organizing production and sales have not been revealed, and other partners are being sought. In his talk at the Gran Canaria Desktop Summit, Karlitschek quoted a target price of US$ 300 to $400. If the survey reveals that the community's price expectations differ from this target, Karlitschek might change his mind. One also hopes that the free software community will benefit from the project financially, in that Karlitschek is looking to donate part of the profits. The Open-PC project initiated by KDE board member Frank Karlitschek has released the specifications for its first computer. The desktop with dual-core Atom processor is due to arrive in February 2010. This month we bring you CentOS 7 (64-bit), a community enterprise operating system based on Red Hat Enterprise Linux, and the Fedora 20 Robotics spin (32-bit). KDE developer Frank Karlitschek announced the launch of the Open PC Project at the Gran Canaria Desktop Summit. Goal of the project is to assemble a PC fit for optimal use of Linux and free software.